Located at 600 North LaSalle Street in Chicago’s bustling River North neighborhood, The Ohio House Motel offers cheap boutique hotel accommodations at affordable rates. Ohio House Motel offers all of the boutique hotel amenities that major chain hotels offer, but at reasonable prices that leave room to enjoy the Windy City’s many attractions. 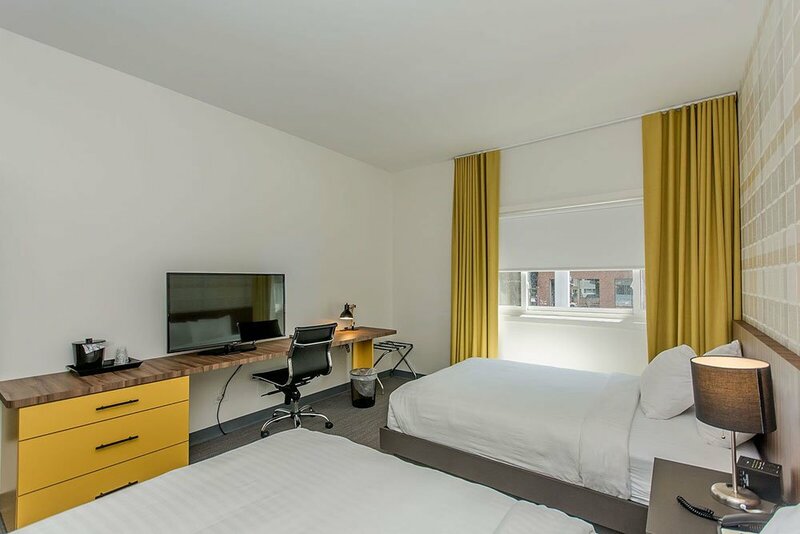 Our rooms boast modern and stylish interiors, just a few steps from the heart of Downtown Chicago. Additionally, when you book direct, you’ll receive added benefits including free parking and complimentary breakfast. Discover what makes The Ohio House Motel a truly unique boutique cheap hotel experience for individuals, couples, and groups. 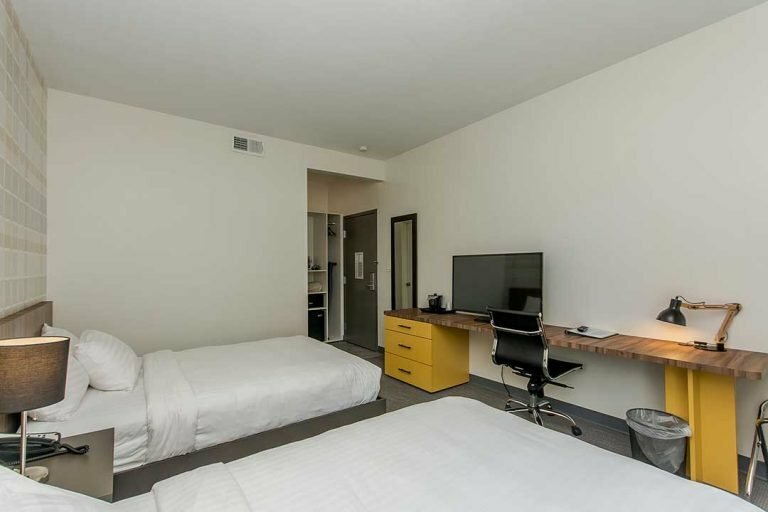 Ohio House Motel guest rooms are housed in a beautiful, historic Americana motel that captures the experience upscale vacation lodging with modern conveniences, but without the price. Originally opened in December 1960, the Ohio House Motel is a truly retro and boutique cheap hotel. 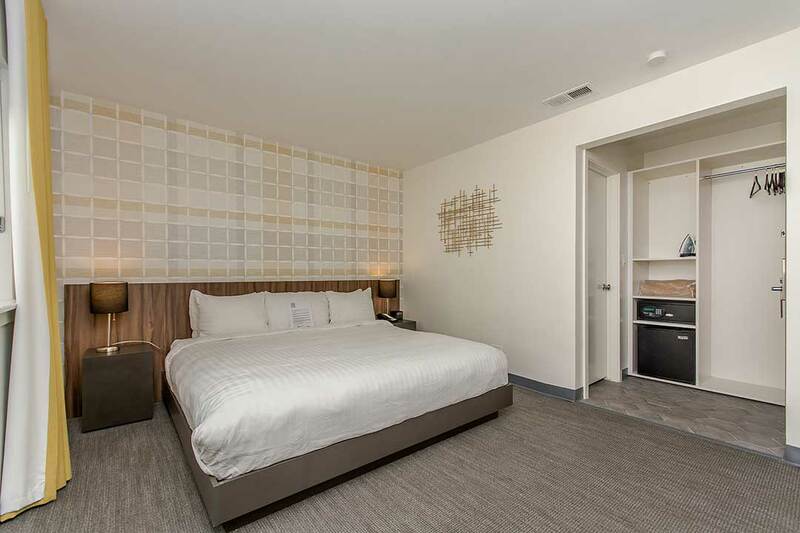 Our deluxe guest rooms were designed to offer guests a modern and boutique lodging experience. 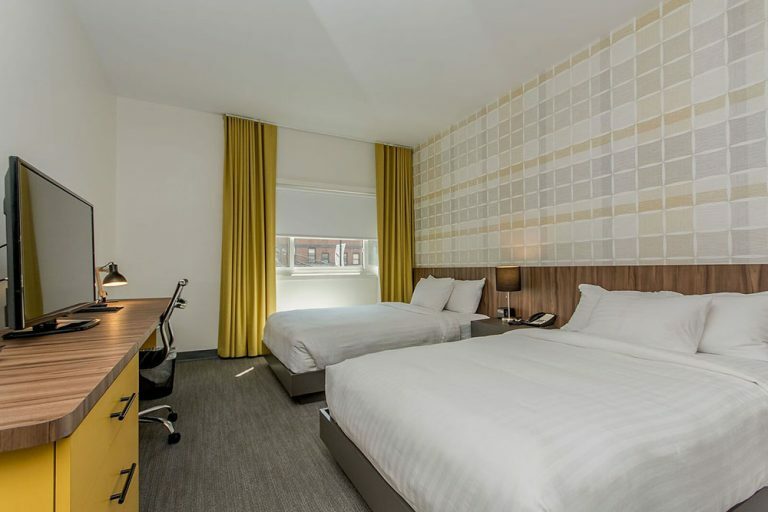 Deluxe rooms feature stylish furnishings, retro accents, and new carpeting, curtains, and bedding. Fast free Wi-Fi in our guest rooms allows you to enjoy HD streaming entertainment or get work done from outside of the office. Chicago has many attractions for both visitors and residents to tour. No matter the time of year, there is always a chance of catching a sporting event at the United Center, Soldier Field, or Wrigley Field. One of the key attractions in Chicago is the Alder Planetarium, which happens to be the first planetarium opened in America. If you are in town with the family, checking out the free Lincoln Park Zoo or the famous Shedd Aquarium is a great way to meet creatures from all around the world. Also, make sure not to forget about one of the main attractions that Chicago has to offer, the beautiful Navy Pier, an over 3,000-foot long pier with countless shops and attractions that runs along the shores of Lake Michigan. If you’re looking to hit the stores while in town, there are plenty of places to spend the day shopping. The Magnificent Mile is home to fashion outlets, restaurants, hotels, and attractions stretching 13 blocks long. Whether you are planning on going to Bloomingdale’s or the American Girl doll store, you can end your day indulging at Hershey’s Chocolate World store located on the Magnificent Mile. If that is not exactly what you are looking for, try the Shops at North Bridge, a four-level shopping center with a ton of different options. The best is yet to come, however, as Downtown Chicago offers some of the finest dining experiences in all of America. There is truly something for everyone to enjoy here. A couple of the top choices recommended by the locals are Al’s Italian Beef, located in the Little Italy neighborhood, or Sushi Naniwa in the River North area. Chicago is also home to one of the most famous McDonald’s locations in the world, called the Rock N’ Roll McDonald’s, a major tourist attraction since it is not only a restaurant but a museum dedicated to the burger franchise as well. Last but certainly not least, anyone coming from out of town to visit Chicago must try a deep dish style pizza from one of the numerous pizza restaurants around the city, all within a reasonable distance from the Ohio House Motel. There are endless opportunities to find places to visit in the Chicago area. 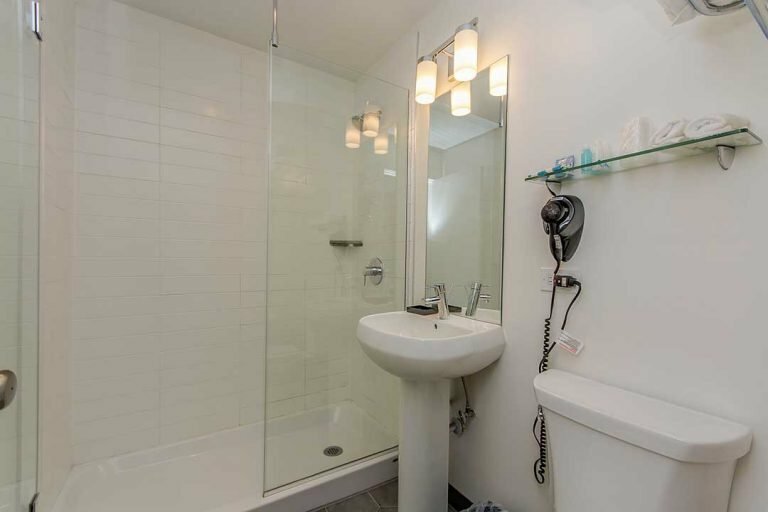 Ohio House Motel’s boutique guest rooms are located just steps from the Heart of Downtown Chicago. 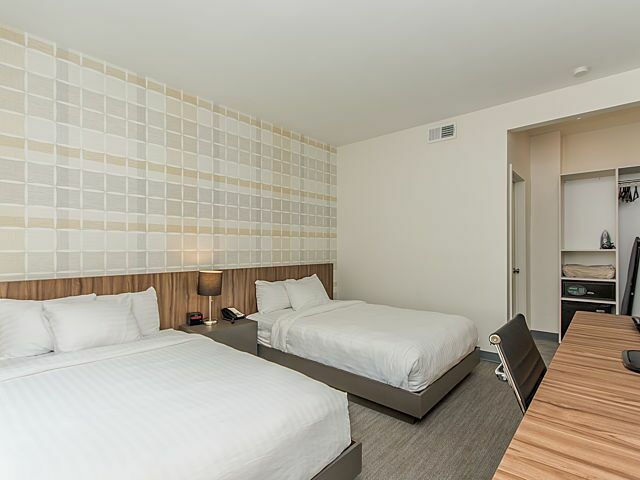 With hundreds of restaurants, shops, and entertainment options throughout Downtown Chicago, Ohio House Motel is the perfect hotel to experience all of what Chicago has to offer. Here a just a few of the restaurants, shops, and attractions steps from your room. Rainforest Café—A unique blend of exotic tropical dishes like Caribbean Coconut Shrimp, Honey Siracha Salmon, and Fish tacos, as well as a deep menu of American favorites. Hard Rock Café—A staple of the Magnificent Mile since 1987, patrons can enjoy a classic dining experience with live bands and karaoke nights. Portillo’s Hot Dogs—Also known for their burgers, beef, and sandwiches, Portillo’s will deliver their cookout-style goodness right to the hotel. Carson’s Prime Steaks & Famous Barbeque—A steakhouse that serves slow-smoked American barbecue, including their special baby back ribs. Gino’s Deep Dish Pizza—This is the dish that Chicago is known for, and this is the place that makes it better than most. Water Tower Place—Includes over 100 stores like Coach, Oakley, Macy’s, and Victoria’s Secret. The Chicago Theater is a historic performance venue that has hosted some of the biggest names in showbusiness and continues to do so to this day. It is considered one of America’s most prestigious landmarks. Chicago River Boat Tours—This is a series of tours that travel various parts of the scenic Chicago River, which is actually a system of smaller rivers that connect at the city’s center. The building at 875 North Michigan Avenue, formerly known as the John Hancock Center, is a 100-story, 1,128-foot tall supertall skyscraper that looms over the city. It has an observatory at the top known as 360 Chicago. The Willis Tower—Another of Chicago’s famously tall buildings, This 110-story skyscraper offers panoramic views of the city from the 103rd-story. AMC Dine-In Theaters—Part restaurant, part movie theater, these modern cinematic venues offer the at-home comfort of recliners and tray tables, with the outgoing appeal of a giant screen to watch your favorite flicks.